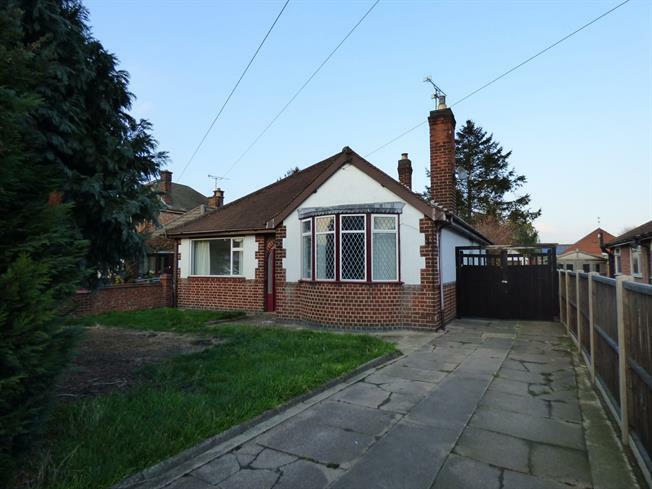 3 Bedroom Detached Bungalow For Sale in Leicester for Guide Price £300,000. A three bedroom detached bungalow which has accommodation comprising porch, hall, lounge, kitchen diner, conservatory, three bedrooms and bathroom. Outside the property is approached via the driveway and has ample off road parking to the front and side. To the rear is a generous size garden and garage. This fantastic property offers scope for improvement or development (subject to the necessary planning permission being obtained) Early viewings are advised. No upward chain.